Like any competitive sport, paintball is played to win. 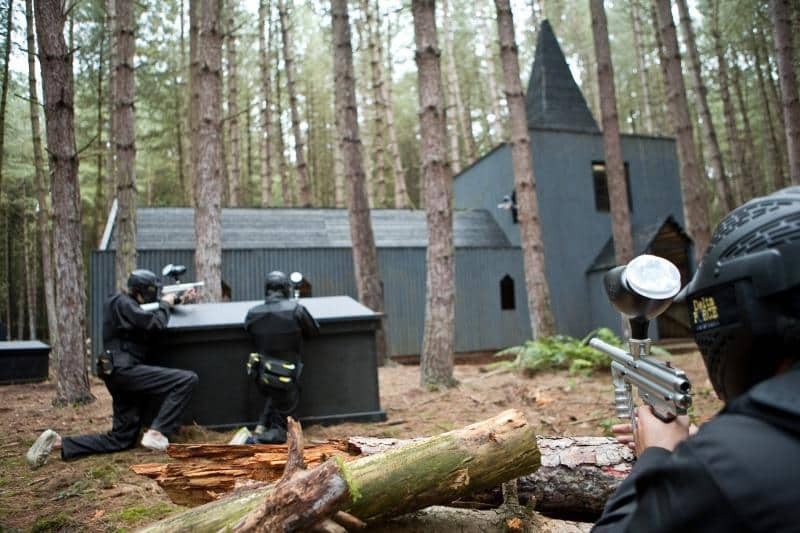 Only, paintball is different from most competitive sports in that the losing team tend to get shot with paintballs! In this entry I’ll try to outline some basic tactics you can employ that will hopefully help you and your team acheive victory. Split up your team on the field – One mistake that people often make is all hoarding together on the field somewhere. This can make it very easy for the opposing players to take out the majority of your team in one attack. One of the best strategies to use is to split up into pairs or threes and spread out through the game zone, particularly on the flanks so the enemy team can’t go around you. Using this strategy will enable you to provide covering fire while one of your partners moves into a better position and you can attack one position from two or more points. Also, most barricades, not including the larger structures, can only provide enough cover for two to three players. These simple tips if put into action will greatly increase your chances of winning at paintball. If you are interested in learning more about paintball tactics there are lots of good paintballing blogs on the internet that will provide you with even more detailed and advanced strategies.